This book connects John Nolen's political and social visions with his design proposals by analyzing his extensive writings, personal correspondence and some of his most significant works. 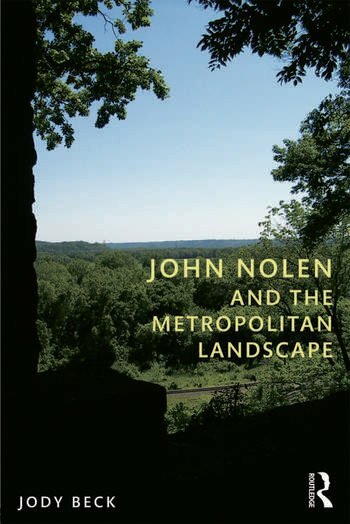 While John Nolen is best known as a city planner, he trained as a landscape architect and used the titles 'landscape architect' and 'city planner' interchangeably throughout his career. A prolific practitioner, he was engaged in nearly 400 projects throughout the United States between 1905 and 1936, including town planning, industrial housing, state and city parks, new towns and regional planning. Focusing particularly on several projects central to Nolen’s career including Madison (WI), Mariemont (OH), Venice (FL) and Penderlea (NC), Beck investigates the ideologies that underpinned Nolen’s work. This is a rare look at a key figure in the development of 20th century American cities. Jody Beck is an Assistant Professor in the Department of Landscape Architecture at the University of Colorado Denver. His research focuses on the connections between the politics of daily life, patterns of inhabitation and the design of landscapes at all scales.